RICK GERMANSON has been a highly in-demand pianist on the New York City jazz scene for many years now. He has performed throughout the world, at the top festivals, concert halls and clubs with numerous jazz greats -- Elvin Jones' Jazz Machine; Louis Hayes; Jimmy Cobb; Grady Tate; Pat Martino; and Russell Malone to name a few. 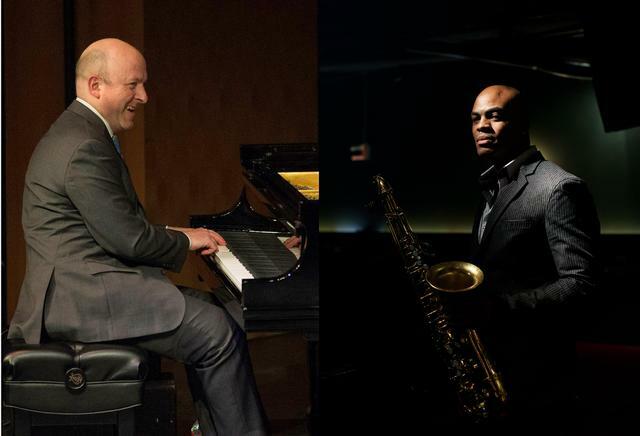 Downbeat Critics Poll Winner and Grammy Award winning tenor saxophonist WAYNE ESCOFFERY is one of the Jazz world’s most talented rising stars and in-demand sidemen. For the past decade Escoffery has toured the globe with Tom Harrell, recorded seven CDs with The Tom Harrell Quintet and co-produced four of those releases. Over the years he has recorded and performed internationally with a who’s who in jazz. Two shows: 8:00 p.m. and 9:30 p.m.